Fisher Price makes a slew of infant- and toddler-friendly accessories, and one of the best features of their products isthat the companion apps are free. Our Free App of the Day is Laugh & Learn Shapes & Colors, which was developed to be used with the Apptivity Case for the iPad but can be enjoyed as a standalone app. It’s perfect for the youngest iPad player in your house! Baby can tap or tilt the screen to interact with the on-screen shapes & colors. Features two levels of play to grow with baby. In level one, tap the screen to hear the name of the shape or color – or – tilt the device to make the shapes bounce around the screen. 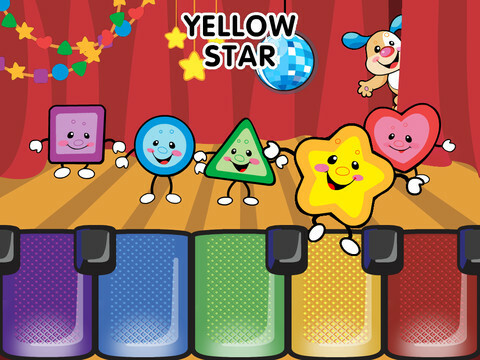 In level two, tap the screen to hear the name of the shape or color, tilt the device to make the shapes slide across the screen or play the piano at the bottom of the screen. 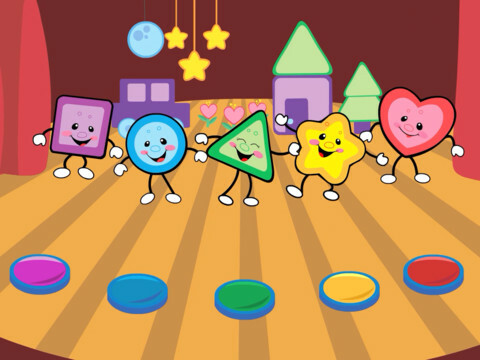 Baby can dance along with five sung ditties and two sing along songs! Teaches shapes, colors, first words and action/reaction.